I’ve done several profiles on our shops in The Cajun Village, and even a few blogs on our other buildings in the Village that have no one to call them “home.” Some of those “other” buildings have plenty of history of their own, but they lack a local Louisiana artist, entrepreneur, or businessman as well as a business to form them into a successful business enterprise. So this post is a shout out to all of y’all in hopes that you may know the perfect to set up shop in one of our vacant boutique shops here in The Cajun Village. Please give us a call (225-473-3007 ext. 4), send us an email, or comment on this post if you or someone you know are interested in starting a brand new business at The Cajun Village! 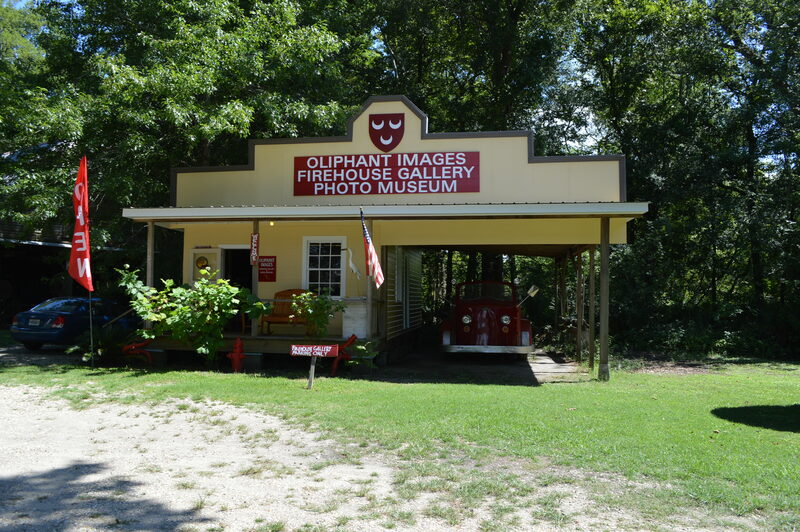 – Firehouse Gallery & Photo Museum: The Firehouse Gallery & Photo Museum has functioned as an art gallery and history museum in the past. Cajun Village visitors are drawn to the building by the antique fire truck parked under overhang. A great shop for a history lover and local Louisiana entrepreneur! 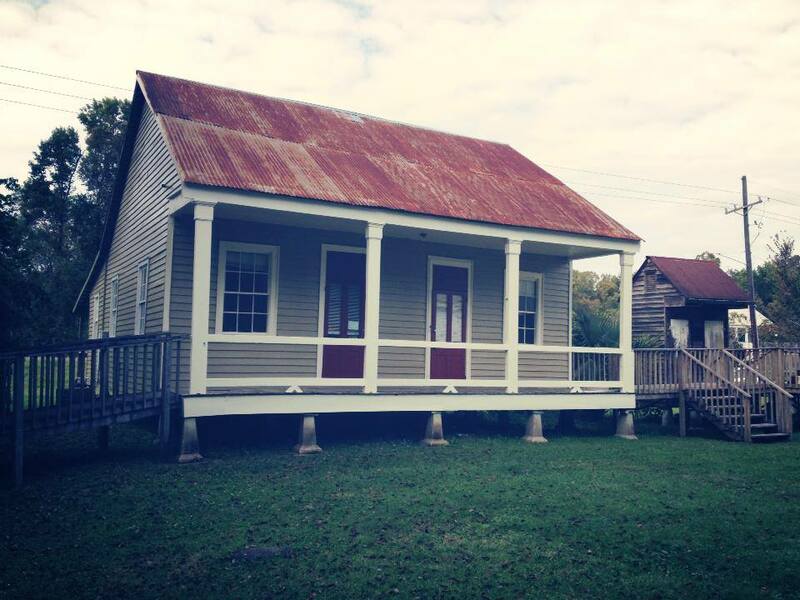 – Leblanc House: Circa 1900, the Leblanc House is originally from Gonzales. The rear of the building faces Hwy. 22. Great for signage and advertising your business to passersby! 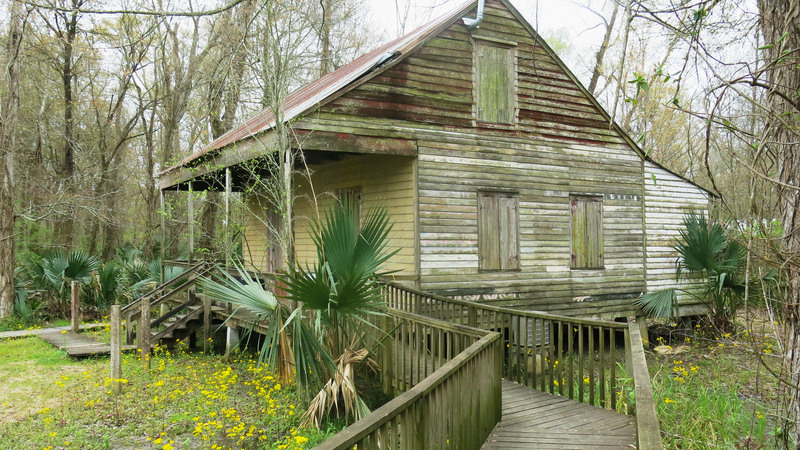 – Gator House: The Gator House, also known as Quarter House, was built c. 1820 in Union, LA, just downriver from The Cajun Village. It is adjacent to the gator habitat where our two native Louisiana adult alligators reside and sees a lot of foot traffic from visitors coming to see Big Boy and Nubby! – Manresa Kitchen: Built c. 1860 in Convent, LA, the Manresa Kitchen is also known as the “Manresa Retreat House.” The building was originally located on the grounds of Manresa House of Retreat. It is a cozy little shop with lots of history attached to it! I love this classic house, just needs a rocking chair and home made lemonade to sip on the porch. We have house forms exactly like the Leblanc house in Indiana. We call them double-pens….does this one have a similar interior floorplan to our Hoosier version, like two symmetrical shotgun houses placed side to side beneath a cross-gable roof? (Back doors, and interior connecting doors, are all in a straight line.) I wrote about a similar house in Bloomington, IN at http://housesandbooks.wordpress.com/2013/04/20/close-up-an-1850s-bloomington-double-pen-cottage/. —I hope all these wonderful old houses at the Cajun Village find good occupants who will love them. Yes, pretty much the exact same floor plan. Four rooms, all symmetrical, no hallways. 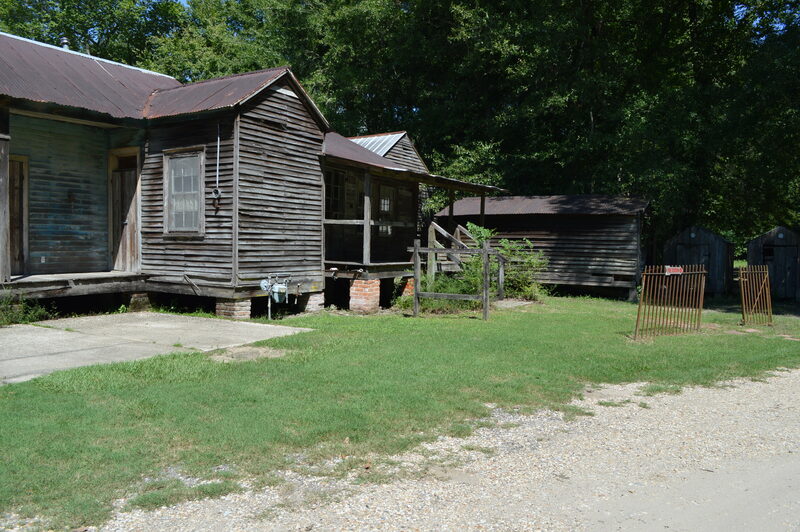 Down here we differentiate between the shotgun houses and the Creole Cottages (i.e. the Leblanc House) because both architectural styles were introduced a few hundred years apart and the floor plans vary so much. That’s a good looking house in Bloomington!